A brace from Jesse Lingard ensured that we still harbour hopes of retaining the League Cup we won in truly spectacular fashion last year. The Swans were always likely to be tricky customers but an efficient away performance saw us win the match 2-0 with Lingard and Rashford proving to be the main men. Our last two league games hadn’t gone to script as we drew against a Liverpool team that was there for the taking while we lost to Huddersfield, a newly promoted side. The win will install confidence back to the group and hopefully galvanise us for this weekend’s crucial clash against title rivals, Tottenham. We take a look at some things we learned from Tuesday’s game. England international, Jesse Lingard has been in the periphery for most of this season given the form of Anthony Martial and Marcus Rashford. However, he took his chance with aplomb by netting twice and giving Jose a selection headache going into the clash against Spurs. The European Super Cup defeat at the hands of Real Madrid, where he played badly seemed to have seen him lose the belief of his manager, but he showed class against Swansea. With United playing a lot of games this season, Lingard will get his chance to impress. He scored twice and helped book our place in the quarterfinals of the competition that our manager loves so much. 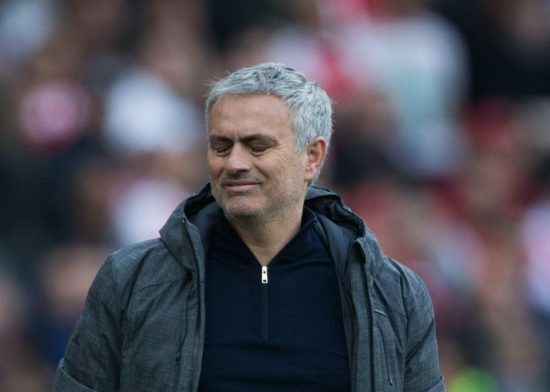 Jose Mourinho has always had questions and criticism labelled at him for not trusting young players but the likes of Kurt Zouma and Raphael Varane will say differently. The Portuguese tactician believes that if you are strong mentally and exceptional, you get to play regardless of your age. The pair of Axel Tuanzebe and Scott McTominay started the game and were decent. McTominay pulled the strings in midfield while Tuanzebe was part of a back three central defensive partnership. There will be more opportunities to show what they have, only if they continue to show the commitment, ability and mental strength needed at this level. Social media was awash over the weekend when summer signing, Victor Lindelof made his Premier League debut for United. The Sweden International has only been used in the Cup games prior to the clash on Saturday as Jose tries to ease him in to the rigours and intensity of the English game. He was terrible after replacing Phil Jones on 23 minutes, was at fault for both Huddersfield goals and looked absolutely terrified anytime an opposition player ran at him. Jose showed him that he trusts him to deliver as he started him against Swansea, ensuring that his fragile confidence slowly returns. Jose must have seen something in him to shell out £31m on his signature, and despite a challenging start, he will still come good for us.